Specimen of "Whistle Blower Policy"
Your company is committed to maintain highest business ethical standards while conducting its business. 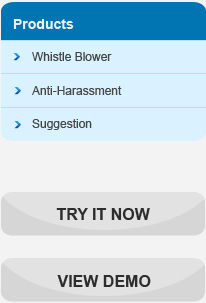 The Whistle Blower Policy is an extension of the “Code of Conduct” adopted by the company to provide a secure and confidential channel of communication for its employees, supervisors, managers, senior management, directors, vendors or customers to disclose any improper practices that are taking place anywhere in the company enabling corrective action. The policy addresses the following relevant issues. Process of disclosing any improper practice taking place in the company. Mechanism for processing of such disclosures and consequent actioning. Protection made available to the whistle blower/s. The Government of India has authorised the Central Vigilance Commission (CVC) as the ‘Designated Agency’ to receive written complaints for disclosure on any allegation of corruption or misuse of office and recommend appropriate action.